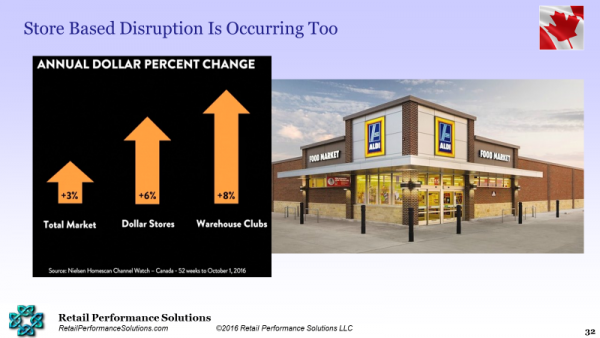 I recently presented at a conference in Toronto, including an update on the outlook for retail and key retail growth drivers that retailers and brands need to attend to. 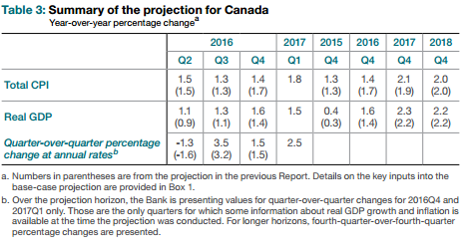 The Canadian macro context and retail have been more volatile than the US for entirely different reasons, relating more to Oil Patch, inflation, and currency volatility versus its largest trading partner the USA. 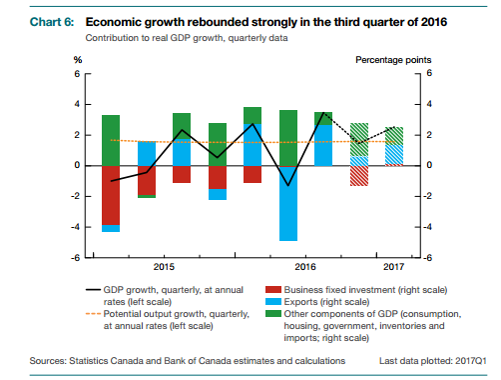 While these have settled down and have expectations for improvement (absent disruption from Team Trump), the prime disruptor of US Retail , eCommerce and digital are building steam in Canada. 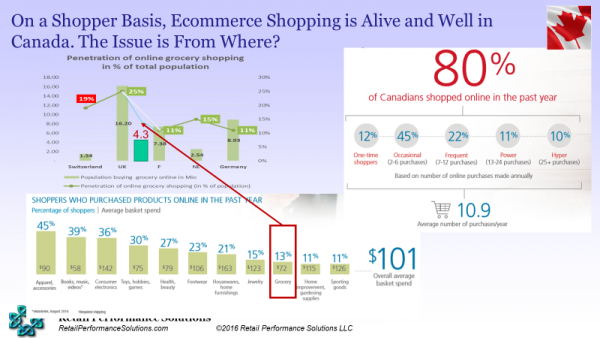 Stats Can and other analysts imply that Canada is less developed in e-retail than other developed countries based on lower levels of reported ecommerce sales by Canadian Retailers. These facts and conclusions ignore entirely the frequent use of US And Asian ecommerce sites by Canadians to import products – often under the radar of Customs and Provincial Sales taxes by declaring values below C$20. 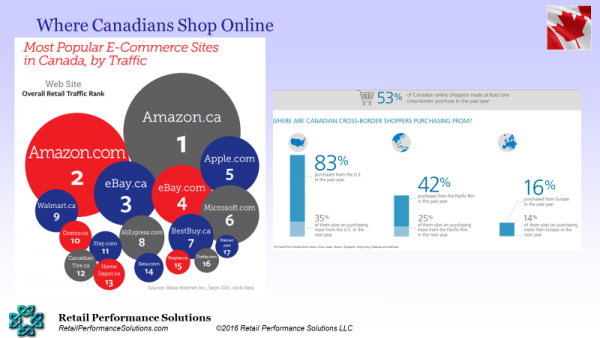 IF you look at reported and traced ecommerce behaviors, Canadians only slightly lag the USA. 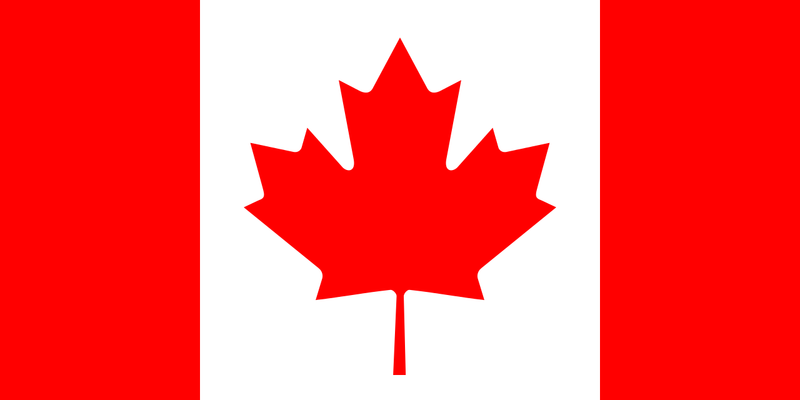 Canadians visit and buy actively across both Canadian and US/Asian websites. 7 of the top 17 ecommerce websites in Canada are out of country and not counted by Stats Canada in ecommerce but reported instead as imports. 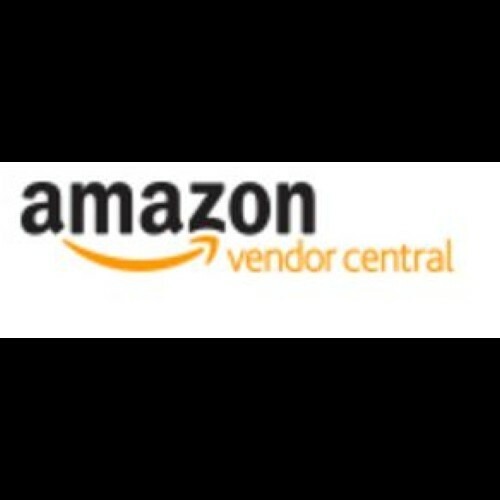 On that basis, Canadian Retailers need to be as aggressive addressing the challenges and disruption of ecommerce as in any other developed market. As the Globe and Mail said it is disrupt or be disrupted. Declining Trips to Stores: According to Nielsen trips have been declining for over 5 years driven by shopping pattern changes from demographic shifts as well as ecommerce substitution. Regulation – particularly the current effort disguised as a consumer initiative to raise the de Minimis level for which imported packages (from ecommerce etc.) would be subject to Customs and Provincial Sales Tax. 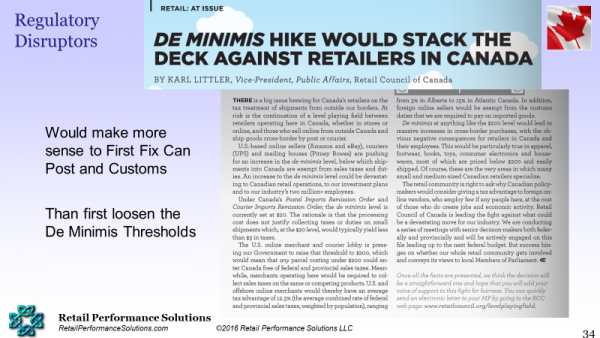 The current system is massively in-efficient and expensive, however it makes more sense to address the root cause rather than just lift the threshold and let US retailers crush their Canadian counterparts. 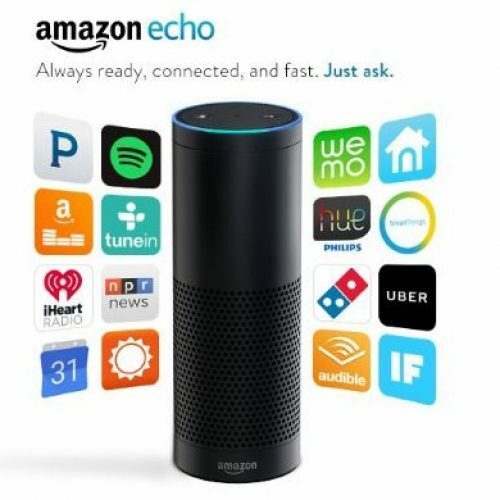 Digital Influence Beyond eCommerce Sales Levels – as widely reported and documented by Deloitte, the influence of digital in shopping behavior extends well beyond transaction levels. 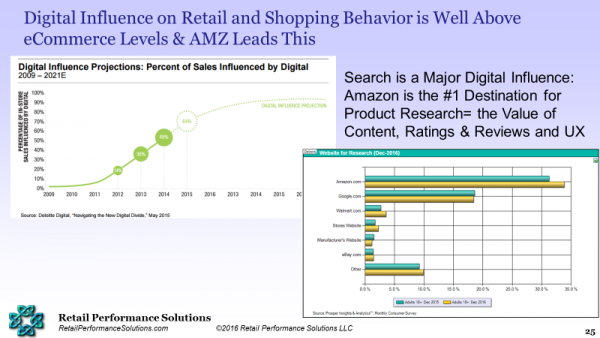 Product search, still a major influence is dominated by Amazon and growing reflecting the value of Content, Ratings and Reviews and User Experience in supporting consumer shopping. There are a number of estimates to triangulate the real impact and scale of ecommerce in Canada including the value of imports. 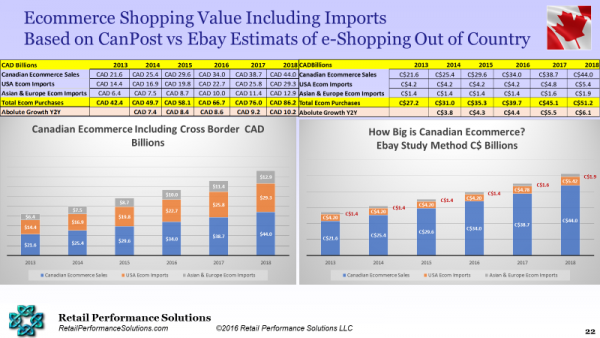 Canadian Post has done research on import shopping as has eBay, but neither of these sources choose to publish the total estimate of eCommerce sales as they have their own objectives. Backing into a range from these sources indicates the Stats Canada reported eCommerce sales by Canadian retailers can be increased by 25-100% to frame the full value of eCommerce shopping by Canadians. 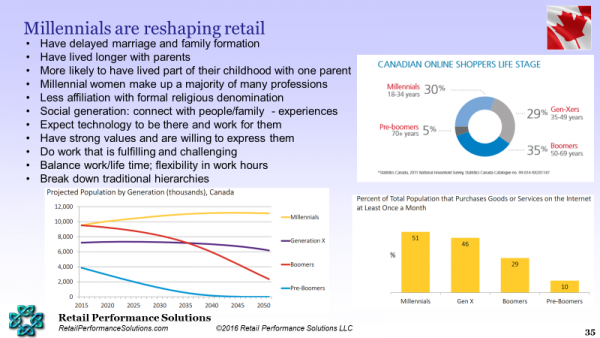 Summary: Canada is poised for as dramatic a shift in retail structure as already being experienced in the US Market. 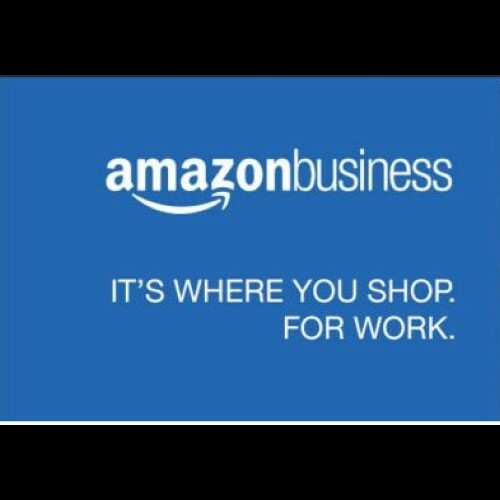 As Amazon and other eCommerce efforts reduce store productivity and trips, smaller more aggressive formats based on price or experience become the new growth areas, and with few exceptions like Club stores, leaving traditional formats to close stores and scramble. Store volumes fragmenting .. Multiple business models replace dominant models of the past..
Price and Promotion – digital and competitive intensity in no growth market deflating pricing. More promotion costs out of sight via intermediaries like Coupons.com and Instacart which influence demand but don’t transact. Bottomline – Canadian Retail and thus Retailers need to disrupt themselves and quickly, or face a disruption done to them.